VANCOUVER, BRITISH COLUMBIA--(Marketwired - Dec. 21, 2015) - Cancana Resources Corp. (TSX VENTURE:CNY) (the "Company" or "Cancana") and its joint venture partner Ferrometals, together Brazil Manganese Corporation ("BMC"), announced the appointment of Ms. Yuki Yamamoto as Director of Sales. Anthony Julien, President & CEO of Cancana stated, "We are very excited to welcome Yuki to the BMC team. Yuki is a seasoned Brazilian mining executive with 20 years experience marketing and selling manganese internationally and in Brazil. Her impact was felt immediately with sample shipments to be delivered immediately to the second largest ferromanganese producer in Brazil." Ms. Yamamoto has tremendous experience in manganese, having worked for Buriturama, the second largest manganese producer in Brazil, and Sumitomo, one of the world's largest integrated metals trading companies. Ms. Yamamoto is a Brazilian citizen and holds an MBA and degree in Chemical Engineering. Numerous upgrades at Jaburi have been completed and the plant is fully operational with two shifts. As per Figure 1 below, roof construction is complete to allow for operation during the rainy season, and new jigs have been installed to improve manganese capture. Rejected material from the Rio Madeira plant can now be reprocessed with the new jigs for further manganese extraction. To view Figure 1, please visit the following link: http://www.marketwire.com/library/20151221-CNY-Figure1.jpg. Operations have exposed vein positions in addition to the previously disclosed open pit at Dnei, including Jaburi 2, Adesvaldo, and Zenilda, an extension of Dnei. The mining faces being exposed are providing useful information on vein style and geometry. Some structures are quite discrete, whereas others have broad stringer and stockwork margins. Different degrees of marginal argillic alteration are observed from prospect to prospect. A number of structures can be seen to taper up-dip (refer to photo from Jaburi 2 below in Figure 2), which has important implications for exploration as not all thickened vein zones may have clear surface expression. The focus of current extraction activities is on the Dnei open pit, where the material is particularly amenable to beneficiation through the current wash plant due to the strong argillic alteration of the breccia material. Options to add a primary crusher to the plant are being considered for 2016, so that material with a harder matrix can be effectively crushed to a size that will suit separation by jigging. These results, combined with planned metallurgical testwork on drill core will be of great value for future resource and mining studies. The plant improvements will allow for more flexibility in the Company's extraction activities. Whilst some large massive blocks have been recovered from Jaburi 2, they cannot be expediently processed through the current plant, needing to be manually broken. The Adesvaldo vein material similarly requires crushing to effectively separate the high tenor manganese mineralization from a harder silicate breccia matrix. To view Figure 2, please visit the following link: http://www.marketwire.com/library/20151221-CNY-Figure2.jpg. Ferrometals is a privately held mining and metallurgical group. 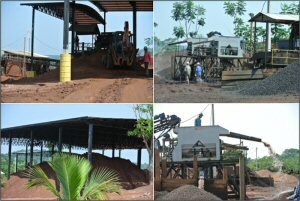 It is a global supplier of essential minerals and micronutrients to the agriculture, steel and manufacturing industries. Building on sustainable and ecologically sound production methods, it is developing specific product lines designed to enhance the yield and growth potential of these industries. Further information can be found at ferrometals.net. Some statements in this news release contain forward-looking information or forward-looking statements for the purposes of applicable securities laws. These statements include, among others, statements with respect to the Company's plans for exploration and development of the Brazil properties and potential mineralization. These statements address future events and conditions and, as such, involve known and unknown risks, uncertainties and other factors, which may cause the actual results, performance or achievements to be materially different from any future results, performance or achievements expressed or implied by the statements. Such risk factors include, among others, failure to obtain regulatory approvals, failure to complete anticipated transactions, the timing and success of future exploration and development activities, exploration and development risks, title matters, inability to obtain any required third party consents, operating hazards, metal prices, political and economic factors, competitive factors, general economic conditions, relationships with strategic partners, governmental regulation and supervision, seasonality, technological change, industry practices and one-time events. In making the forward-looking statements, the Company has applied several material assumptions including, but not limited to, the assumptions that: (1) the proposed exploration and development of mineral projects will proceed as planned; (2) market fundamentals will result in sustained metals and minerals prices and (3) any additional financing needed will be available on reasonable terms. The Company expressly disclaims any intention or obligation to update or revise any forward-looking statements whether as a result of new information, future events or otherwise except as otherwise required by applicable securities legislation. The Company cautions that it has not completed any feasibility studies on any of BMC's mineral properties, and no mineral reserve estimate has been established. Because the Company's production decision is not based upon a feasibility study of mineral reserves, the economic and technical viability of the property has not been established. 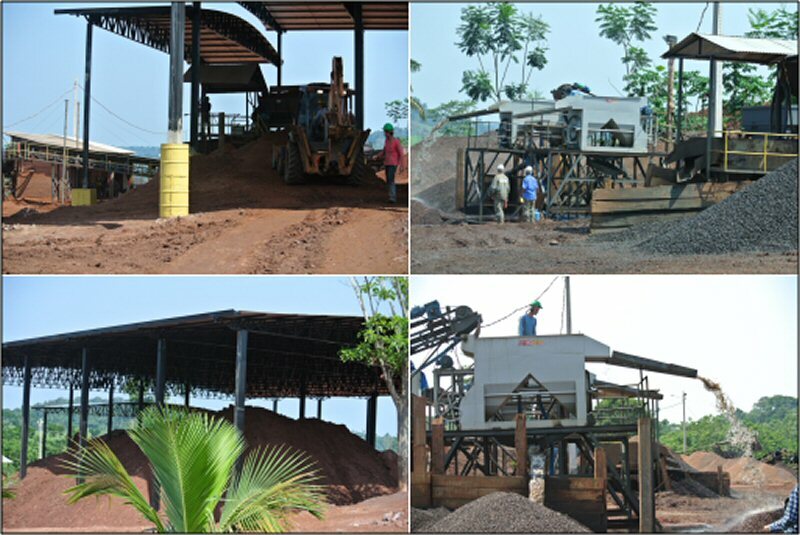 Figure 1: Top left: Completed roofs; Top and bottom right: New upgraded jigs; Bottom left: stockpiled plant feed below newly completed roof for rainy season operation. Figure 2: Exposed primary vein structures in Jaburi 2, Adesvaldo, and Dnei (left to right). Note the upward tapering vein geometry of the vein at Jaburi 2. Massive manganese blocks recovered from Jaburi 2 are shown on the far right.